Pino’s Salon & Medispa is committed to excellence in serving all customers including people with disabilities. We will ensure that our staff are trained and familiar with various assistive devices that they may have or that we provide on site that may be used by customers with disabilities while accessing our good or services. In the event of a planned or unexpected disruption to services or facilities for customers with disabilities, Pino’s Salon & Medispa will notify customers promptly. This clearly posted notice will include information about the reason for the disruption, its anticipated length of time, and a description of alternative facilities or services, if available. The notice will be placed at the front desk. 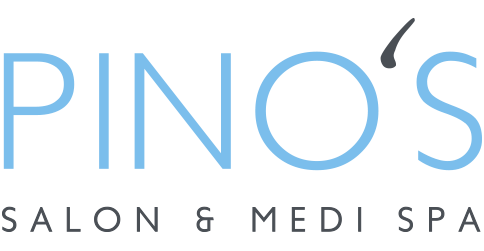 Pino’s Salon & Medispa will provide accessible customer service training to employees, volunteers and others who deal with the public or other third parties on their behalf. Training will also be provided to people involved in the development of policies, plans, practices and procedures related to the provision of goods and services. Training will be provided to the staff within 30 days of hiring. How to use the equipment or devices available on site or otherwise that may help with providing goods or services to people with disabilities. Customers who wish to provide feedback on the way Pino’s Salon & Medispa provides goods and services to people with disabilities can email us at reception@pinosalon.com. All feedback will be directed to Management. Customers can expect to hear back in 7 business days. Complaints will be addressed according to our organization’s regular complaint management procedures. Pino’s Salon & Medispa will notify the public that our documents related to Accessible Customer Service, are available upon request. Any policy, practice or procedure of Pino’s Salon & Medispa that does not respect and promote the principles of dignity, independence, itergration and equal opportunity for people with disabilities will be modified or removed. If you require a copy of this document, please email us at reception@pinosalon.com and we will provide you with one.